WHISTLER, BC – Whistler Brewing has announced the release of a new summer seasonal beer that fittingly arrives just in time for Cinco de Mayo celebrations. This lightly hopped lager is clean and easy drinking with mellow aromas of citrus, hops and a touch of tequila with a crisp and refreshing finish. Aged on genuine tequila barrel staves, this Mexican-style lager comes alive with flavor. You’ll feel it in your bones. 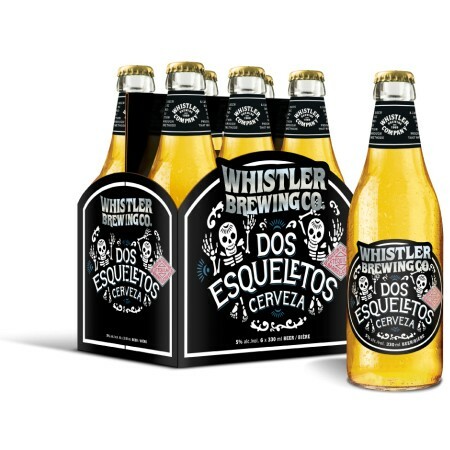 Dos Esqueletos will be available at select beer and liquor retailers in British Columbia and Alberta through the spring and summer.